Umzug unser Webadresse - TSC-Koblenz Webseite! 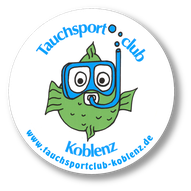 Wir hoffen, dass wir bald wieder unter unserer alten Domain www.tauchsportclub-koblenz.de firmieren können. Der Umzug ist bereits veranlasst. It's genuinely very difficult in this active life to listen news on TV, therefore I only use web for that purpose, and get the hottest information. Wow! After all I got a webpage from where I know how to actually obtain valuable data regarding my study and knowledge.